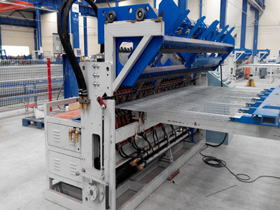 This machine mainly for the production of anti-climb mesh,high degree of automation. 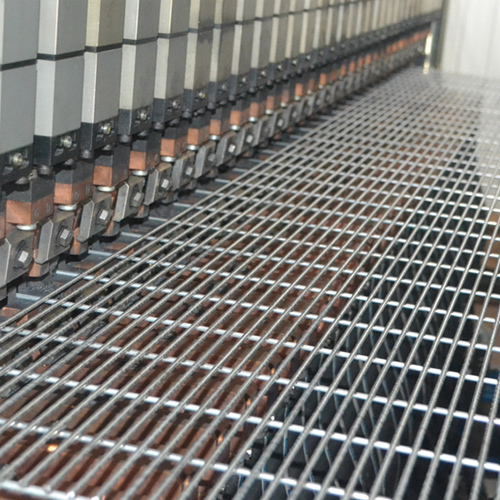 1.This machine mainly for the production of anti-climb mesh,high degree of automation. 2.Anti-climb mesh purposes:mainly used in industrial,agricultural,prison,municipal,transportation and other industries for fences,decoration,protection and other facilities. 1.Precut wire,feeding by manual,U type U-shaped groove (retractable) positioning,automatic alignment feed,no feed trolley. 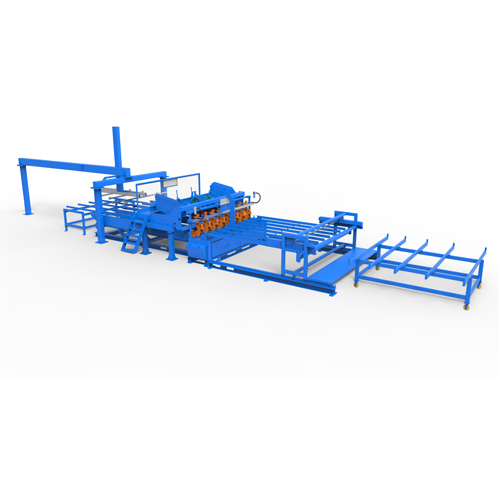 2.The cross hopper with a cross wire storage and automatic feeding device,storage capacity of about 1.5 tons,to reduce the manual reclaim material,improve production efficiency. 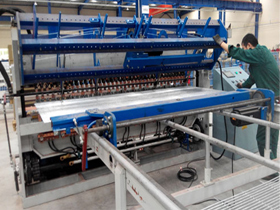 3.The welding electrode and transformer are equipped with a circulating water cooling system to extend the service life. 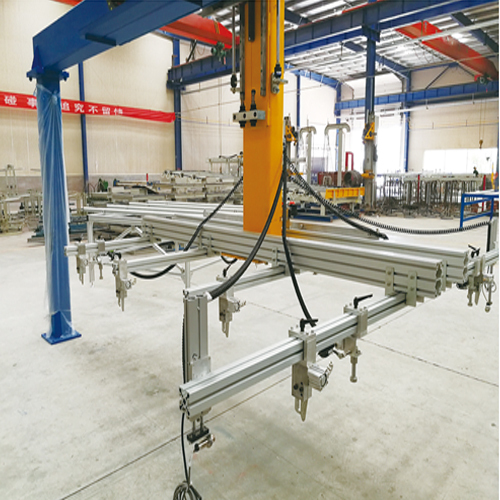 4.The cooling circuit adopts stainless steel fast joins,which is easy to plugged and unsealed,and the machine is convenient and quick to change.The high temperature water hose is used to prevent the welding slag from being burnt. 6.The servo motor pulling repeatly can realize multiple reciprocating pull mesh according to the length of the mesh,and the whole mesh piece is completely pulled out. Our company is responsible for equipment installation and commissioning and after-sales service,and technical staff assigned to the scene to install the guidance and debugging work,and customer equipment operation and maintenance of on-site training. 1.Before use, check the power connection is solid. 7.Mechanical transmission components damaged timely repair.Electrical control section as soon as possible with the manufacturer. 9.When checking the internal wiring and control panel wiring,be sure to cut off the power. 10.Do not touch the components inside the control panel,otherwise the components may be damaged. Equipment warranty for one year,part of the life of equipment maintenance procedures,wearing parts and electronic parts are not covered under warranty. After the warranty,our company provides lifelong after-sales service support,as well as preferential prices to provide equipment components.